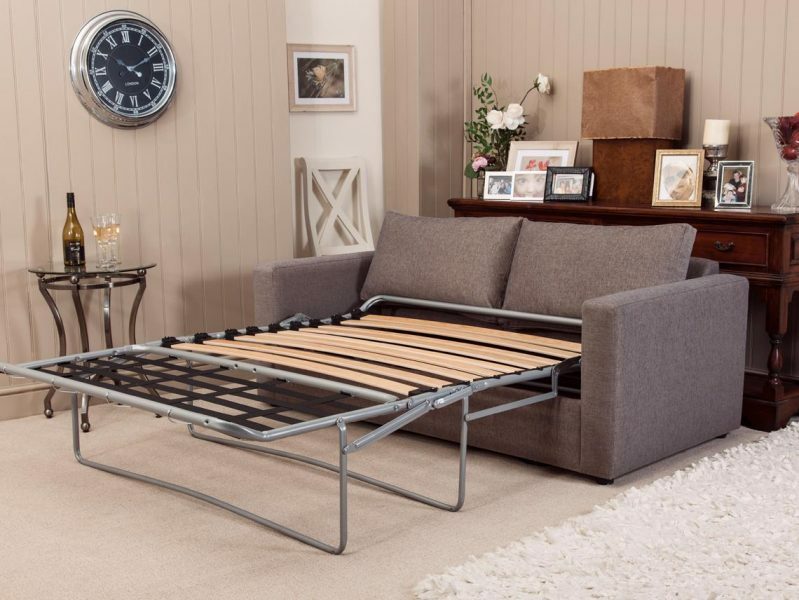 The South Downs Sofa beds all have a beech and webbing platform with a 10cm reflex foam mattress and a removable washable mattress padded topper for extra comfort which together makes approx. 12cm. The South Downs 2 fold mechanism when installed requires 228cm space in length for most of the range. South Downs Range | How the sofa bed looks in a wide Chelsea sofa, chaise sofa or corner sofa. 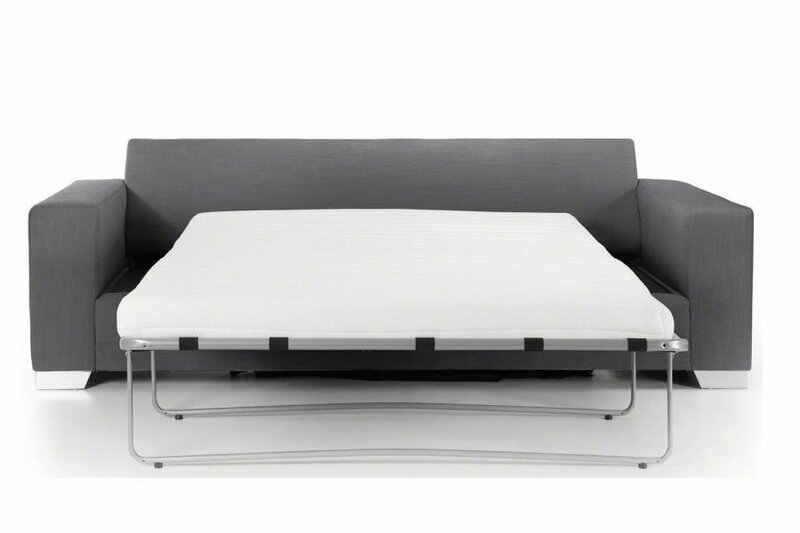 Beech slats and webbing platform with high density reflex foam mattress and washable padded mattress topper. For any questions about the sofa beds please call us on 01932 506558.